When I buy things, I like them to have a use. Yarn = knitting Postcards, ribbon etc = inspiration Roving = felting Beads = jewellery Mints = feeding my addiction Buttons = guilty dilemma Buttons are for ...........well, sewing on garments to use as fastenings, aren't they........... That was so, until I went into Duttons for Buttons and almost had a heart attack. 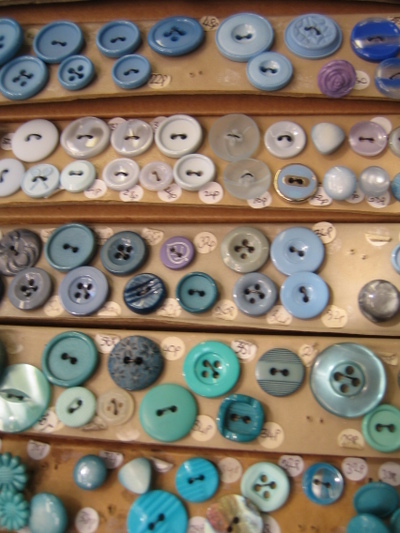 I'd never been into a button shop before. 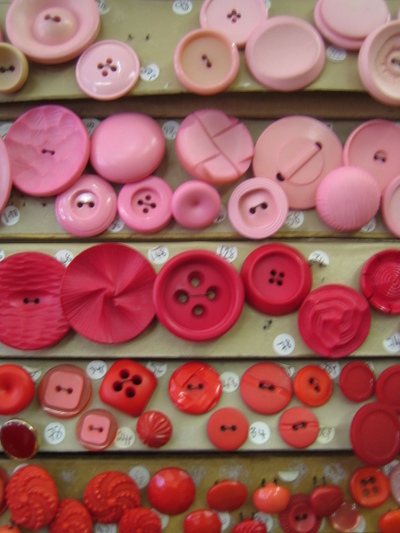 Just the button department at John Lewis whenever I needed something for a garment I'd knitted. John Lewis does functional well, not passion or inspiration. 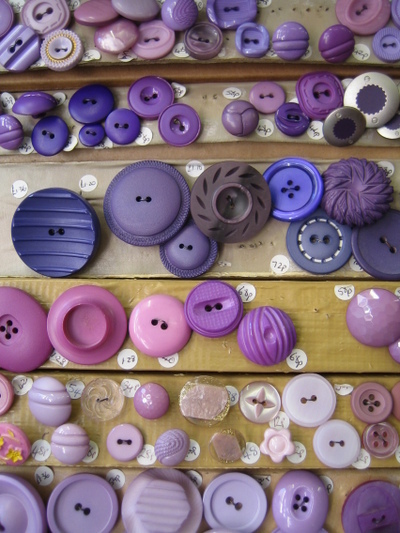 Duttons for Buttons does passion. And service. 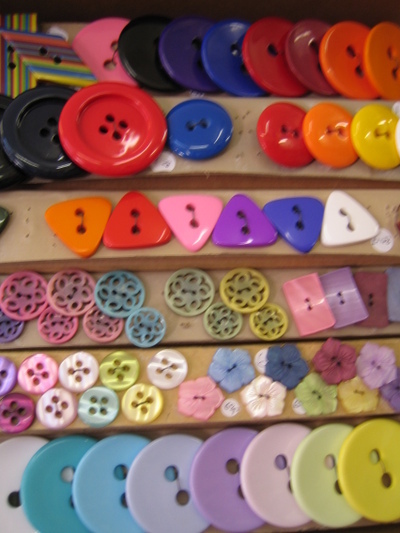 A lady helped me choose buttons for a garment I could only describe, because I did not have the knitted piece with me, (I was not expecting to encounter a button shop in Harrogate), and I couldn't remember how many buttons I needed. She was extraordinarily patient with me, and I can only imagine that is because she is passionate about her wares. 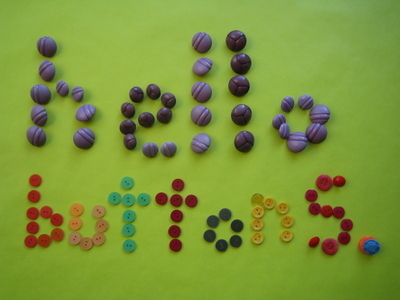 So this was my entry into the world of buttons. 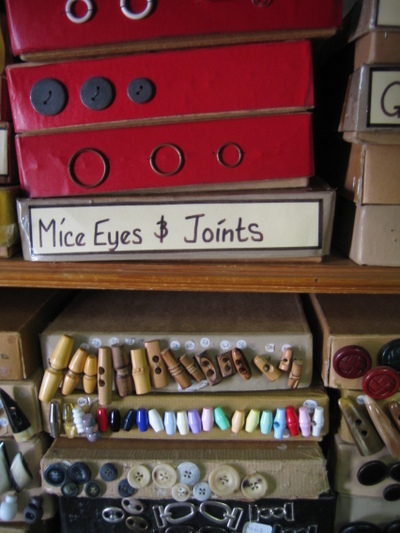 At the time I was in the shop, my feet were still firmly in the camp of functionality. Hang functionality, some of these things are works of art. In that one sentence, I have probably stepped gingerly through the door of button world, and the door has closed gently behind me. Though I still have that niggling problem with things having a function........... .....solved whenever I look at these.